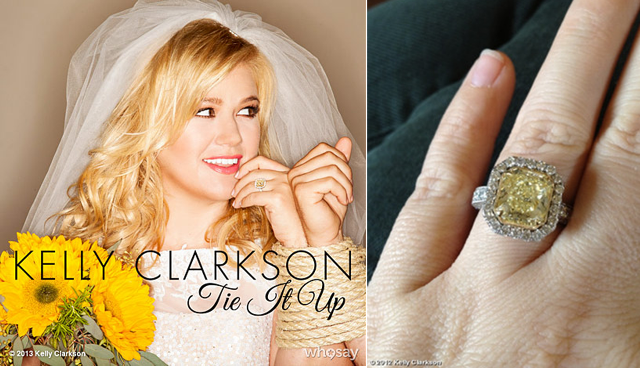 Most media outfits called Kelly Clarkson's wedding a "backyard wedding". But if you want to be more rebelliously technical about it, technically she eloped--her own mother was not even in attendance. I adore everything about Kelly's wedding and I particularly enjoyed the fact that even if she was secretive about the wedding, she opted to create a wedding video for the public to see. Wouldn't it have been nice if other celebs also did same-day-edits? I used to toy with the idea that Kate Middleton & Prince William should have gotten Jason Magbanua and Pat Dy as opposed to the usual official photogs--that would have been cool and so contemporary! 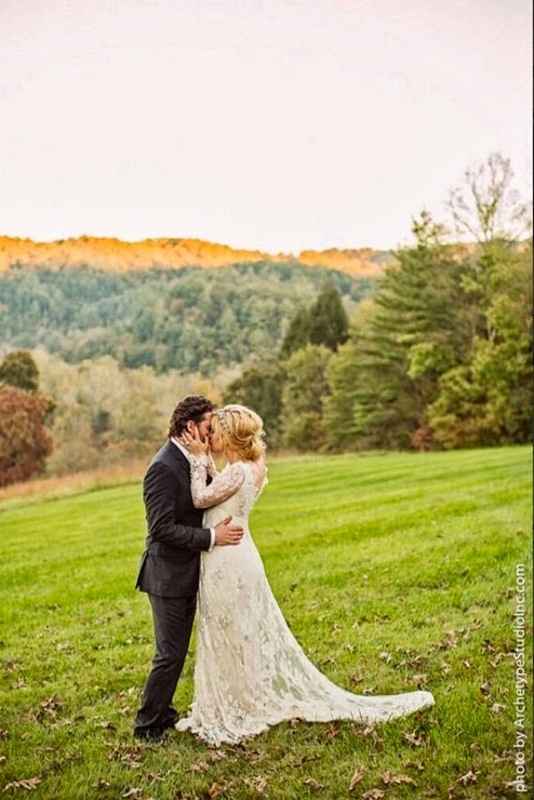 I love Kelly's gown, her bouquet, her overall look and her headpiece! "Kelly selected a Temperley Bridal dress by designer Alice Temperley for her wedding. The lace gown featured long sleeves with small buttons and a v-neckline that allowed the singer to flaunt her assets in a tasteful way. An empire waist gave way to an A-line silhouette, while the frock featured a small train. 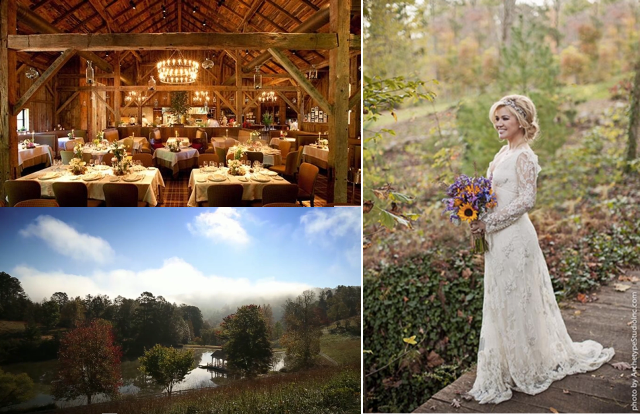 From the long sleeves to the way the lace skimmed over her silhouette, the gown was a great choice for a festive fall wedding. The ensemble had a very romantic, ethereal vibe which was supported in the styling, as Kelly’s hair was loosely pulled back to keep the focus on her frock. She wore a gorgeous headband by Maria Elena Hairpieces in her hair which added to the feminine vibe of her ensemble. 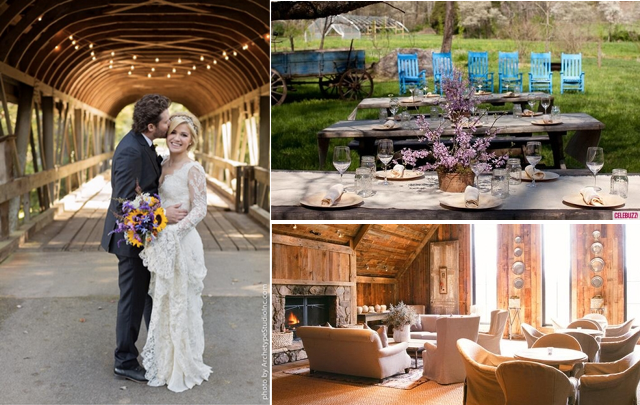 Kelly’s vibrant bouquet was consistent with the fall season and featured both sunflowers and Bluebonnets, (the official flower of her home state of Texas)". Oh and if you haven't known already, Kelly's engagement ring was just as rebellious, featuring a gigantic yellow canary diamond bling!